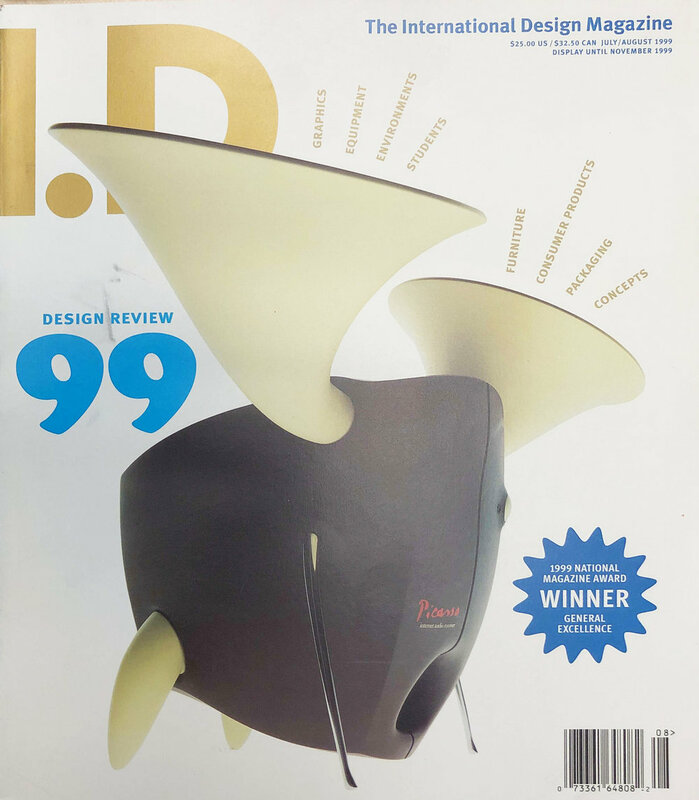 Ron Lytel, of Ronald L. Lytel Design, is an award-winning industrial designer who has previously worked for a variety of design consultancies and corporations including KEK Associates, Thomson Consumer Electronics, and Sony Electronics. Ronald L. Lytel Design was established in 2001 and specializes in early concept development and innovation with a diverse clientele that includes large corporations, renowned design consultancies, and innovative start-ups. Design services range from concept origination through hand-sketching and two-dimensional/three-dimensional visualization; past work has included consumer goods, electronics, home design, environmental sustainability, sporting goods, and niche products. Lytel’s work has been featured in a variety of publications, including but not limited to ID Magazine, The Economist, House and Garden, and The Washington Post, and has appeared in exhibits at the Smithsonian Institution/Cooper-Hewitt National Design Museum and the Museum Of Modern Art. He has been honored with multiple iF International Forum Design Awards, ID Magazine Best of Design Awards, CE Innovations Awards, and he is a Good Design Show winner. He holds multiple United States Design Patents. While it may be difficult to imagine a time when the World Wide Web did not exist, in 1997, while I was working on an internet radio concept for Thomson Consumer Electronics, only 1% of the world’s population was using the internet, and the possibilities of what the internet could do was being imagined as a fantasy of the future. Indeed, at the time, the idea of a stand alone internet radio was in its infancy. As an industrial designer, I was doing what designers have always done, and continue to do to this day; I was imagining, perhaps even inventing, the future. While working out this concept, I wanted to convey more than just a new technology, and I wanted to be certain that the radio looked nothing like the current audio devices of the time. 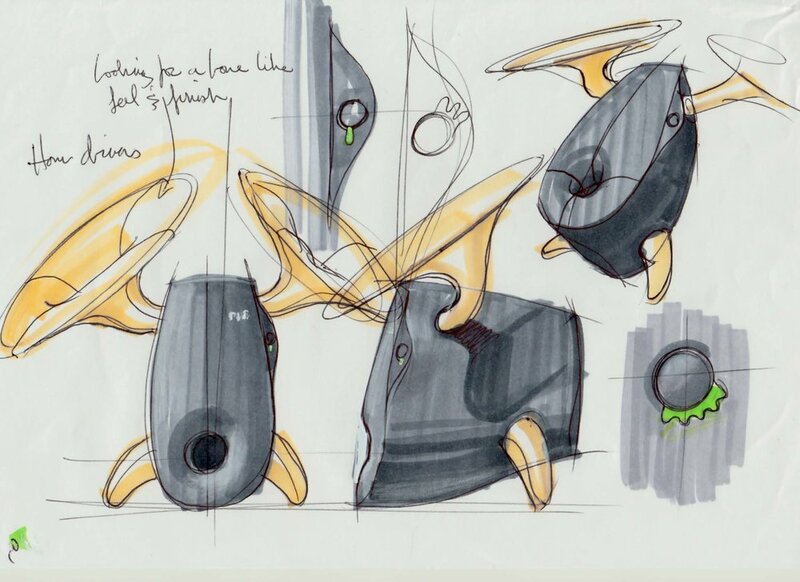 I also did not want to design a mere inanimate object that encased a new technology; rather, I wanted to give it a soul, like a creature walking onto a stage and pronouncing that something new and very important was on the way. The form of the bull revealed itself to me while sketching the project. When I sketch, I let the pen fly uninhibited, and so often, little accidents and incidental lines will reveal things I had never initially intended. I wanted to use a horn speaker, reminiscent of the original phonographs of the late 20th century, the record players that were the first revolution in audio. However, I needed two horns for stereo separation. Soon after I began sketching, the form of the bull revealed itself, as did the connection to Pablo Picasso’s 1945 “Bull” series of lithographs, the series in which Picasso deconstructs the form of the bull into its essence. I was struck by another parallel to Picasso, his progression as an artist who both embodied and reinvented notions of traditional European art.